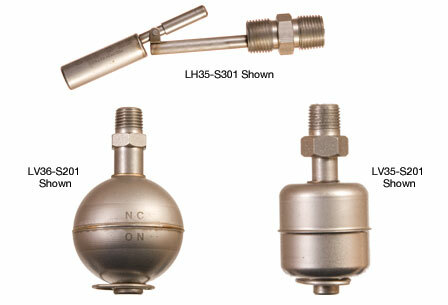 Offered in both vertical and horizontal float configurations, the general purpose high-temp float level switches are an ideal choice for relatively clean water, diluted chemical or petroleum based liquids with non-coating and/or scaling characteristics. Media examples include hot deionized water and cooking oil. The dry contact closure provides a reliable switch interface with remote devices such as a PLC, SCADA or alarm.